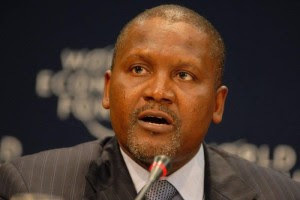 Dangote also recalled a meeting with the late Abiola at his Ikeja, Lagos residence where the latter told him about the dangers of mixing media interests with other business interests. LEADERSHIP recalls that Abiola, before his death in 1998, owned the Radio Communications Nigeria and Concord Press (publishers of the defunct Concord Newspaper). Dangote did not, however, foreclose future investment in the media but said he was being cautious in view of his other business interests. “You must think twice before going into it,” he said.